To start off this show for the marine mammals, we discuss the fact that while the Vancouver Aquarium wants us to think conservation, research and education is their top priority, according to their 2013 Annual Report, only 12% of expenditures went to conservation, research and education. And now they want to open a large marine mammal entertainment facility in Spain. So what are their priorities, really? The Globe and Mail newspaper published a lengthy article about this issue this week, which you can read here. Our first interview is with Stefan Austermühle. He is the Executive Director of the Peruvian conservation NGO Mundo Azul as well as the new Peruvian NGO, INECI (lnteramerican Institute for Integral Ecology). He has had 29 years of experience in leadership positions in environmental and marine conservation and research in both Germany and Peru. He is also General Manager of the Peruvian marine eco-tourism operator, Nature Expeditions, with 11 years of experience in tourism. Stefan is a leading marine conservationist who has exposed the extent of the illegal dolphin hunt in Peru where thousands of dolphins are killed each year and sold illegally or used as shark bait. Despite the video footage he has collected while working undercover on a shark fishing boat in Peru for 24 days, the local authorities refuse to accept his evidence, claiming that it’s inauthentic. So he is taking his evidence and story to the media and plans to create an expository documentary film that will show the world exactly what is happening with the brutal and illegal slaughter of these beautiful beings off the coast of South America. He briefly tells his story to us today, but will be presenting expanded talks as he is touring to spread his message and build up support for his project. In Vancouver, he’ll be speaking on March 28th at 8:15pm in Lecture Hall 2 of the Woodward Instructional Resource Centre at the University of British Columbia. This is a free talk and everyone is welcome and encouraged to attend! In this 10 minute video, he also introduces the work he has been doing to document the illegal dolphin slaughter, and explains his crowdfunding campaign to raise money for the film. The crowdfunding campaign page can be found here. Our feature interview is with Sheryl Fink. As the Wildlife Campaigns Director of IFAW Canada, the International Fund for Animal Welfare, her primary focus is to end the commercial seal hunt in Canada. 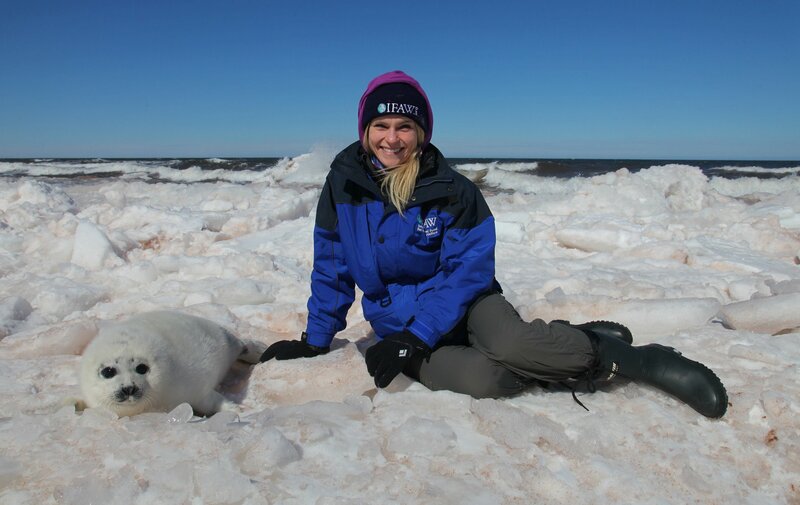 Sheryl has observed the commercial seal hunt in Canada for 11 years, documenting the hunt from the air and on the ice, to provide ongoing evidence of its cruelty and wastefulness. Her campaign work to end the hunt has included appearing on national television, leading public demonstrations, and providing testimony before politicians in Canada, the European Union and Namibia. The Canadian seal hunt is still not dead and despite an inability for sealers to even reach a sizeable fraction of their quotas, and a lack in the market for seal fur and meat, the annual Canadian seal slaughter is set to begin yet again this Spring. Sheryl is here to tell us about her work in fighting for the seals to get this industry over for once and for all, and to give us an update on what’s happening in the issues surrounding the largest mass slaughter of marine animals on the planet in 2015. We talk about the unrealistic government quota to kill 468,000 seals this year, what the update is on the proposal to buy out and retrain the sealers, and what the predictions are for the future existence of this unsustainable hunt. Sheryl also provides graphic detail of the sights and sounds of the killing environment, which she has witnessed many times. You can ask Canada’s Prime Minister to put a stop to the seal hunt by clicking here. In this short video, Sheryl shows some of the realities of the slaughter on the ice. Warning: graphic footage. 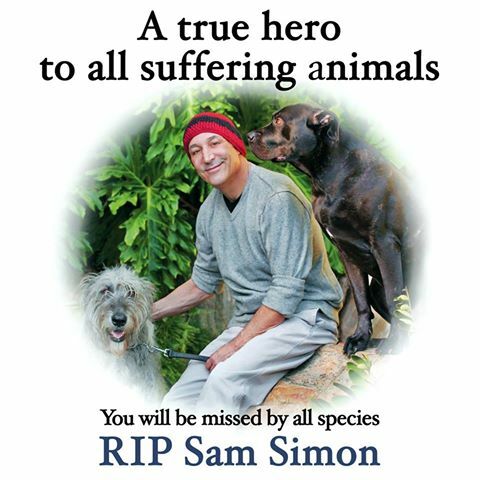 To end the show, we pay a short tribute to a hero for the animals who lost his battle with cancer last Sunday, Sam Simon. He may be best known to some as one of the co-creators of the hit tv series The Simpsons, but to animal advocates, he was recognized as an incredible activist for the animals. He did so much for the animals, and wasn’t afraid to use his resources to liberate many creatures, and spread the message of compassion and liberation to the masses. He will be missed. Thanks for sharing the crowdfunding campaign on LoveAnimals.org! We are proud to be partnering on such an important project. I have just witnessed the killing of dolphins and sharks in Peru how terrible and seals in Canada. This is just heartbreaking I am so angry with humanity, how dare wr take what isn’t ours. These are life’s with baby’s, mothers, fathers. When will the this murdering stop. Breathtaking heroism – please save the dolphins and seals our hearts and souls are behind you even if we can only petition, twitter, facebook and write!! 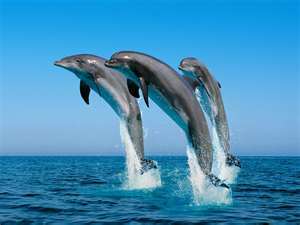 Please save these highly intelligent & precious dolphins and seals. No animal deserves what they are forced to endure. It can only be described as mass murder. My wish for this world is that we as human beings stop torturing and murdering God’s animals. We were put here to be their guardians and instead, we have become their worst night mare. God is watching us, and we are MONSTERS. HUMAN RIGHT PROTECTION STATUS FOR ALL ANIMALS NOW!